The CIS program recognizes the value of relevant work experience and partners with technology-based organizations to provide students with an opportunity to broaden their skills base in information technology, cultivate mature life and workplace skills that prepare the student for personal and professional challenges, and establish a network of professional contacts in the information technology field. The work completed by the student intern is expected to parallel or exceed job performance expectations. These expectations include responsibility, productivity, professionalism, and well-defined IT skillsets. Some, but not all, positions award monetary compensation (an hourly wage or a project stipend) for the work performed. The Internship Experience is an elective 3-credit information technology (IT) offering at the associate-degree level and a required offering at the bachelor-degree level that provides the student with an opportunity to build a professional portfolio of relevant work experience. With the guidance of an organizational mentor, students will develop a significant IT project that applies appropriate information technology (IT) skills in hardware/networking, database design and development, programming, or client- server-side Web scripting. The internship is offered at three levels: CIS280, CIS380, and CIS480. The student is prepared to take the CIS280 Internship Experience after completing the core CIS associate-degree requirements and at least one programming language or a Web design and development course. The student is expected to take the CIS380 Internship Experience after completing the core CIS associate degree requirements and CIS330 Systems Analysis, CIS350 Database Design and Management, and at least one programming language (CIS212 Visual Basic, CIS214 Java, or CIS215 C++). As the CIS380 internship is expected to require information systems analysis, information systems design, database design, and/or applications programming, the student should also have taken any other 300 or 400-level courses associated with the focus of the internship project. During the internship experience, the student maintains a reflective journal that identifies effective communication, critical thinking, and problem solving skills applied during the implementation of the IT project. At the conclusion of the internship, the student summarizes the highlights and challenges of the internship in a written report and presents the IT project development process, focusing on the transfer of theoretical and classroom and lab experiences to meet corporate challenges. "I believe that it is very important for not only the Computer Information Systems program to have internships, but all programs. Thanks to my internship, I will now have both work experience and a degree when I graduate and essentially be a more marketable candidate." Planning to participate in an internship experience during the spring 2016 semester? Spring and Summer is the time to start searching for an organizational mentor that can provide the hands-on experience that you need to favorably compete for a technology position when you have your degree in hand. 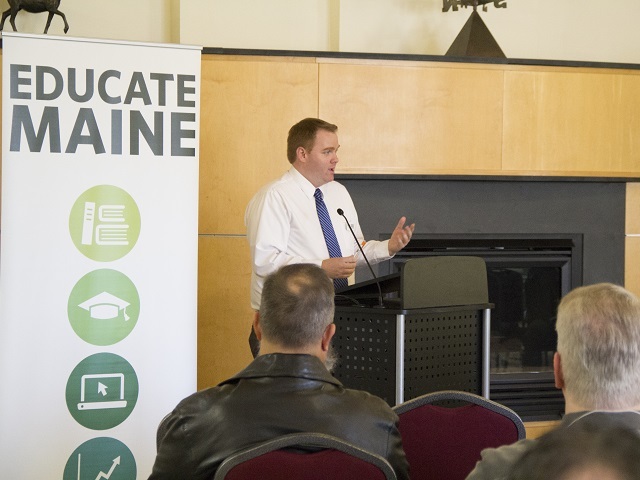 The University of Maine at Augusta has a number of opportunities to work and grow in the IT field, while working on a project that will benefit the University. 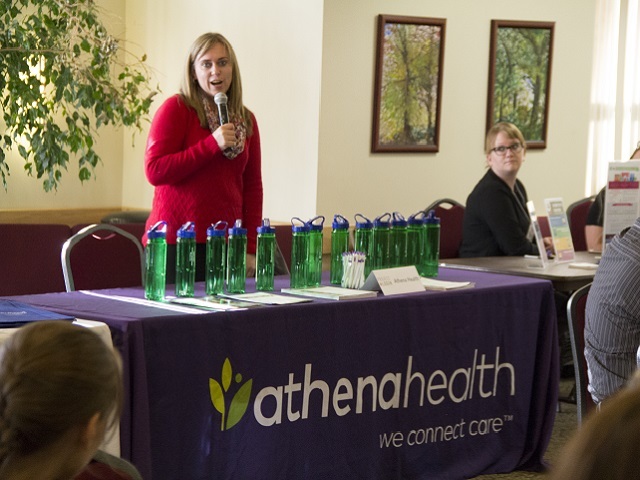 Maine Career Connect (MCC) could use your help! 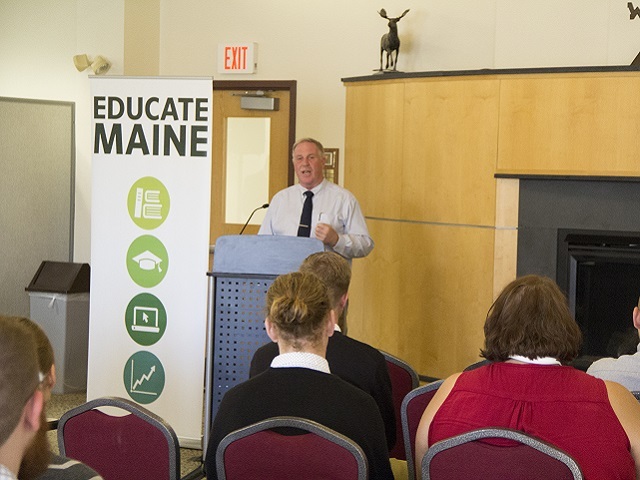 Maine Career Connect is a program affiliated with the University of Maine and the Maine State Chamber of Commerce designed to builds bridges for new, recent or relocated hires and their families. MCC helps these hires connect with their local and regional community and its resources so that they can better transition to the region and consequently stay in the community. MCC is a team of partners, members and advocates engaged to address employer recruitment and retention issues specifically related to the relocation of employees to the greater Bangor region. The result is success in the recruitment and retention of highly skilled, diverse talent and subsequently, the building of a stronger more engaged workforce and community. Help update and create a better web presence. Design a web calendar system that automatically adds reoccurring monthly events. Create a resources database. MCC delivers both a binder and a USB drive of requested community resources to each family member that we work with. Assistance is needed in both locating these resources as well as designing a database to track and update them. Student must be able to work independently; be polite, professional and courteous when talking to potential resources. Student should be a creative and innovative thinker who is ready to be involved in a project that will have positive consequences on our region for years to come. The position requires approximately 10 hours per week and is sadly, unpaid. For more information please contact Carin Sychterz at 949-7070; mainecareerconnect@gmail.com or to learn more please visit us at mainecareerconnect.org. The Internship Experience is a three-way partnership among the student intern, the organizational sponsor, and the University mentor that connects the University and the community by developing mutually beneficial business relationships. The Computer Information Systems program recognizes the commitment required to sustain a successful internship program and values the role that each of these partners play in providing a valuable learning experience. We have students seeking internship placements in the fall, spring, and summer semesters and provide a description of current opportunities on our Web site. 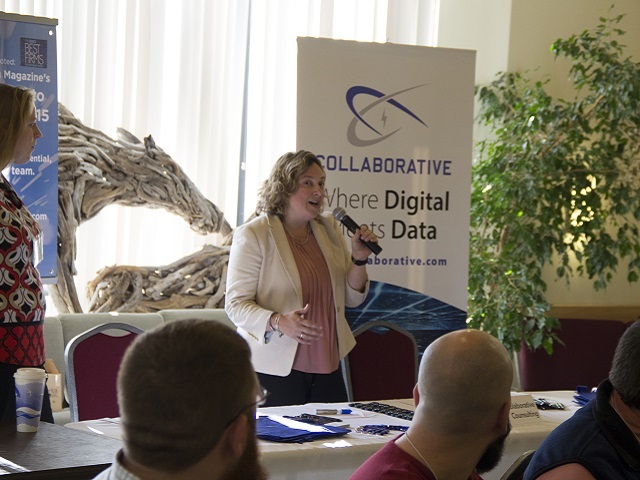 The goal of the annual Project Login Networking Event was to bring together representatives of the University, Maine technology businesses, and CIS /Cybersecurity students to identify opportunities for engagement. The Project Login team is working with the CIS program, the newly launched Cybersecurity program, and local businesses to provide paid internship experiences and career opportunities. Download the Program of Events for UMA’s Networking Reception held on September 29, 2016, from 4PM to 6PM at the Student Technology Center on the Augusta campus. Program Director, Jason Judd, outlined the goals of Project Login and restated its commitment to support local IT employers and create opportunities to enhance the employability of UMA’s information technology graduates. 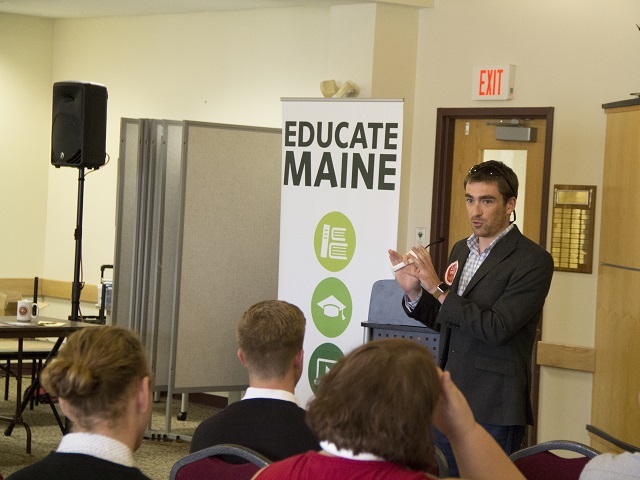 Nate Wildes, Engagement Director for Live and Work in Maine, talked briefly with students and employers about the benefits of the Opportunity Maine Tax Credit Program. In addition, CIS program faculty and colleagues from other areas of the University charged with career development were on hand to ensure a smooth transition from college to career. 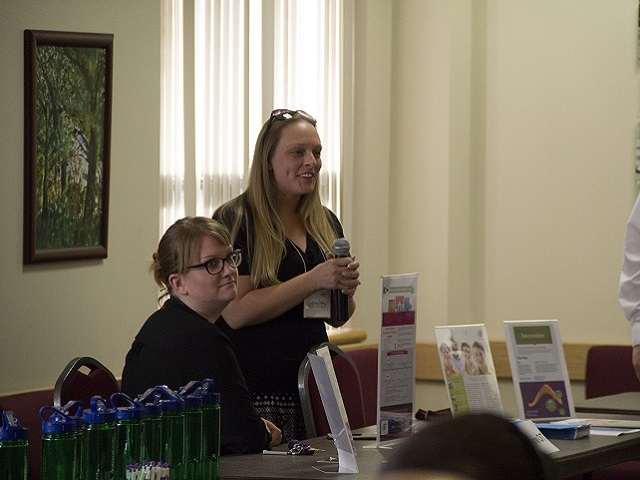 We were pleased to welcome several students from Kennebec Valley Community College to the event. 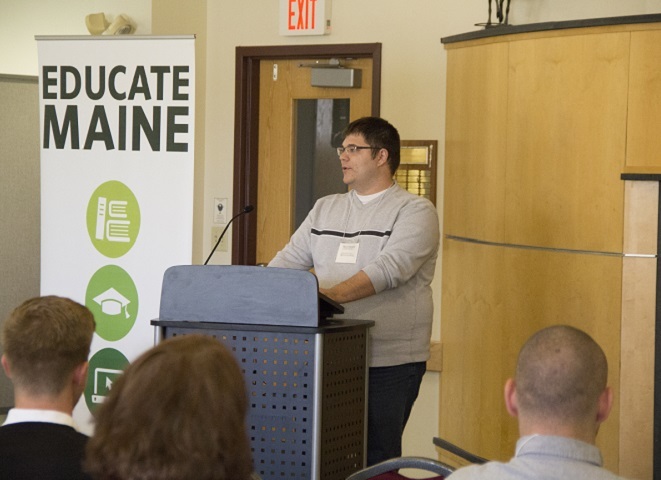 A May 2016 graduate of the CIS program, Chad Botting, spoke briefly about his internship experience with OIT in the EPICDEV app dev department and credited his internship opportunity with last year’s networking event. Chad has recently been hired as part of the operations team with programming, database design and management, and software design principles comprising a large part of his job responsibilities. 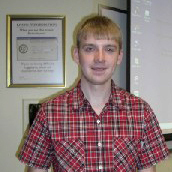 Chad thanked Project Login for connecting him with his current employer. A representative of each technology company spoke briefly about its unique internship opportunities and invited prospective internship participants or potential employees to stop by during the networking portion of the program for a more complete information exchange. It was exciting to see that several of the employer reps were either current students or alumni of our program. Barbara Bachman, another CIS alumnus, handled the registration process as she has done since the event started. The CIS program faculty extends a special thank you to Collaborative Consulting for providing the refreshments and to the UMA Bookstore and UMA Admissions for donating the give-a-way items.